Take note of our top update ideas for your Virginia Beach home! A Department of Justice study found that burglary crimes increase by about 12 percent as the weather heats up, and we want you to get ready ahead of time. With spring just around the corner and likely fewer snowy days in Virginia Beach, VA, we hope to help protect your home from potential dangers. Does your home have the necessary home security solutions to manage criminal activity? You might just be four simple steps away from keeping your property safe from crime. Keep reading to see our top recommendations. SEE ALSO: Which Security Cameras Should I Add to my Virginia Home? Have you ever heard the term, “porch pirates”? These criminals like to take advantage of that vulnerable time between when the delivery arrives and you’re able to enjoy it. InsuranceQuotes.com estimates that 23 million Americans have had a package swiped from their doorstep before they could retrieve it. Don’t let this happen to you! Control4’s newest home security applications, such as Intercom Anywhere, allows you to see who’s at the door and let people like delivery professionals inside to drop off packages. In case a porch pirate approaches, Control4’s security solutions send you notifications after detecting suspicious activity. Further, Control4 integrates with a host of security products from Nest to Alarm.com for your convenience. A virtual key to your home, or a smart lock, means that you can let authorized visitors into the house -- while keeping unwanted visitors out. This feature protects you by eliminating the real possibility that someone could find that key you’ve hidden under your door and break in. Smart locks also spare you the worry after forgetting to lock the door behind you as you leave. As family and friends approach, they’ll enter a code, and the door will unlock for them. Other models synch with your surveillance to automatically open the door when it recognizes certain faces. If you use the aforementioned Intercom Anywhere with your smart lock, the front door will show you who’s at your door, and you can unlock it for them. Control4 offers a wide variety of styles that accentuate most front door designs. Can you believe that something as innocuous as outdoor lighting could deter crime? Spring provides a perfect time for lighting updates anyway since you’ll want to enhance those beautiful exterior spaces such as pools, decks, patios and landscaping. But how can they reinforce your other security measures? As the smart locks we mentioned before can detect people through surveillance integrations, outdoor lighting can also use facial recognition and motion detection to deter criminals. If it looks as though someone is entering your home, vandalizing your property or stealing a package off the porch at night, outdoor lighting can flash to scare them off. If you want to implement an alarm system too, you’re almost guaranteeing that offending persons will vacate your property. Did you know that you can arm and disarm your Control4 security system? Use your touchscreen or smartphone to change settings depending on circumstances. For example, if it’s almost time for the nanny to visit, turn off your alarm so they’re not greeted by sudden lights or noises. As soon as you get a notification that they’re safely inside, however, it’s time to arm the system once again and guard your home. As we mentioned before, when the alarms are on the ready, criminals will receive a warning. 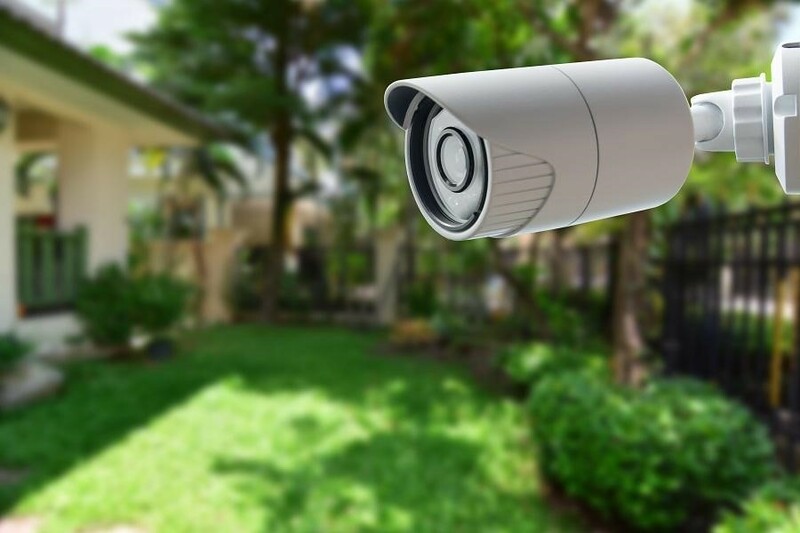 With crimes heating up along with the weather, you’re running out of time to update your security system for spring. Take note of which of these updates you still need to invest soon. WSC wants to protect your home and vacation home as well as your family and possessions. Get started today by calling us at 757-493-5000 or fill out our online contact form. If you prefer, you can also chat with us by clicking the chat box on the bottom of the screen. We can’t wait to meet you and talk about your smart home’s security needs!